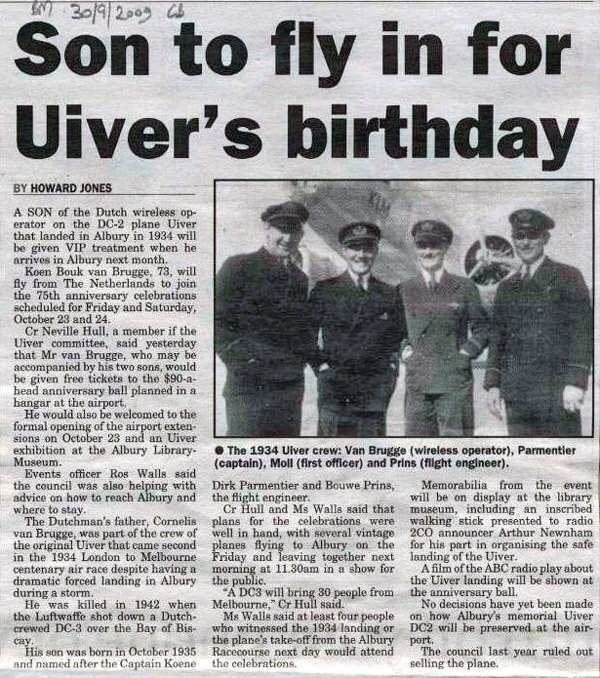 2009 signified the 75th Anniversary of the Uiver landing. 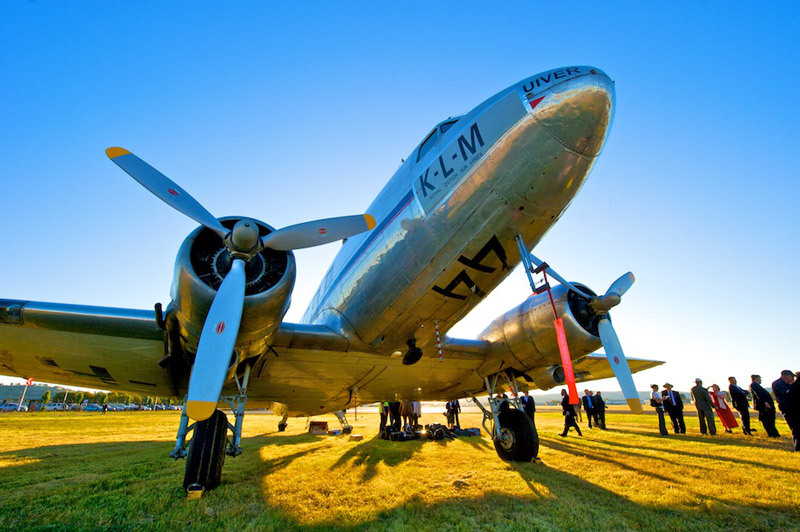 AlburyCity Council and KLM-Air France celebrated the event with a grand charity ball and gala dinner, held at Allan Arthur’s hangar at Albury Airport. Many local dignitaries, international guests, and local community members attended, dressed in 1930's costume, to enjoy the unique atmosphere which featured music of the period by the RAAF band. 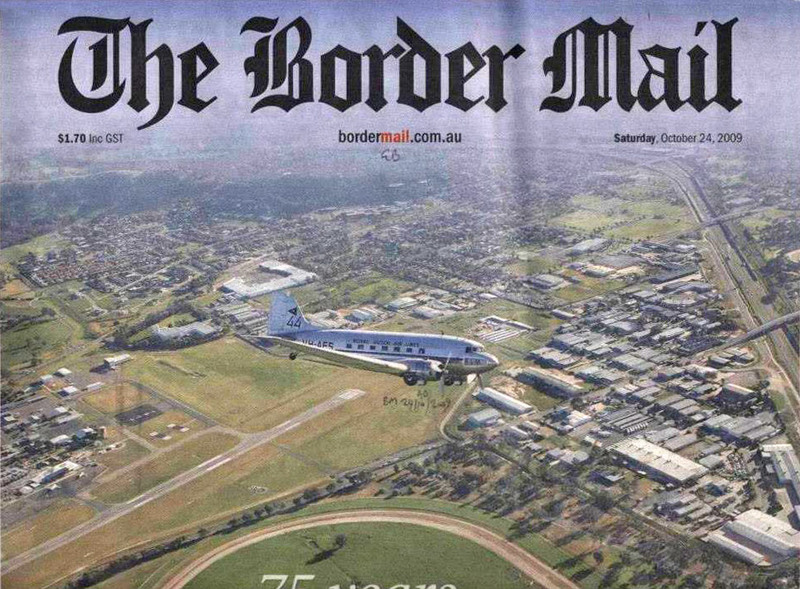 To coincide with the ball the Australian National Aviation Museum flew the historic former "TAA" Douglas DC-3 (VH-AES) from Tullamarine to Albury to reenact the flight of Uiver. This aircraft featured signage to give it registration markings like the original aircraft. The anniversary celebrations demonstrated the power of the Uiver story as a community focus, over seven decades, and its significance to a generation who were not even born at the time of the event. 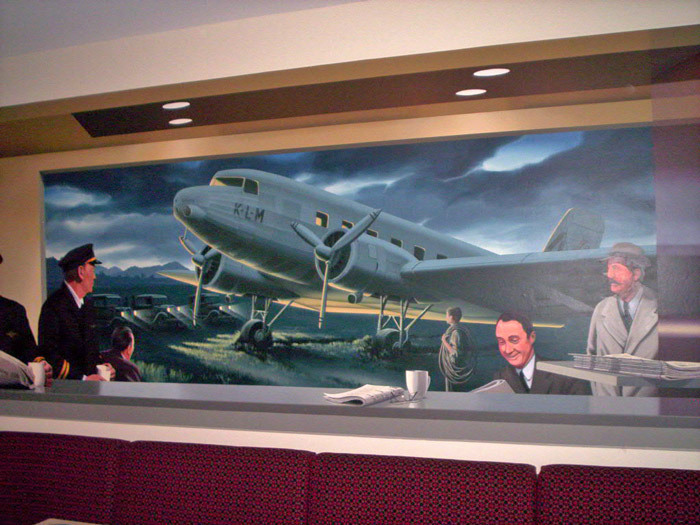 A mural was commissioned for the anniversary and is displayed in the Uiver Cafe at Albury Airport.